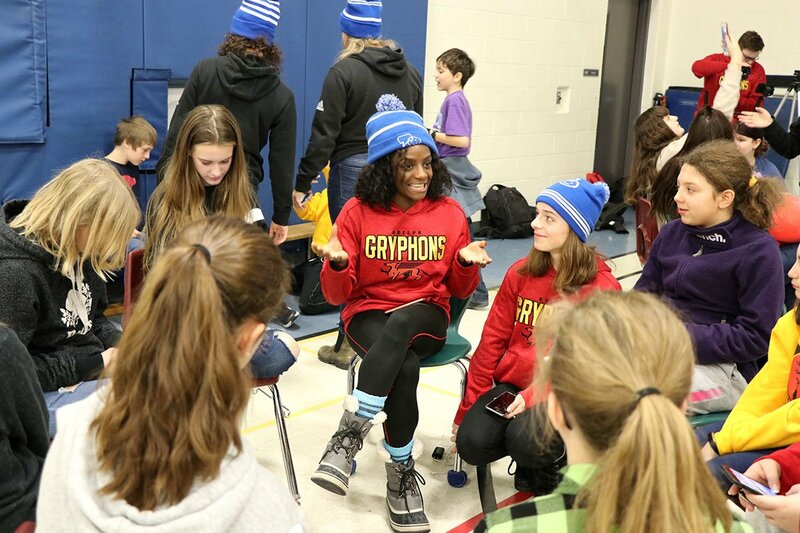 GUELPH, Ontario – Break the silence, end the stigma, starting talking. 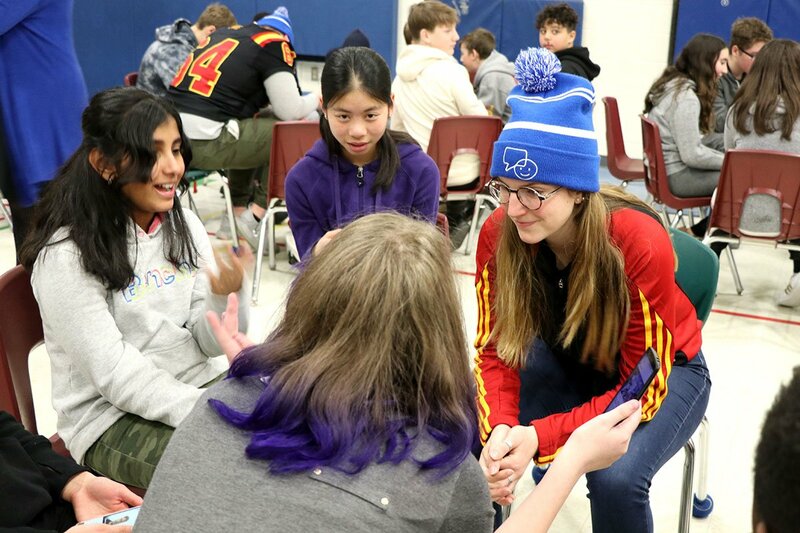 Those were among some of the lessons intermediate students at John Galt Public School learned on Wednesday, as they participated in a mental health workshop as part of Bell Let’s Talk Day. 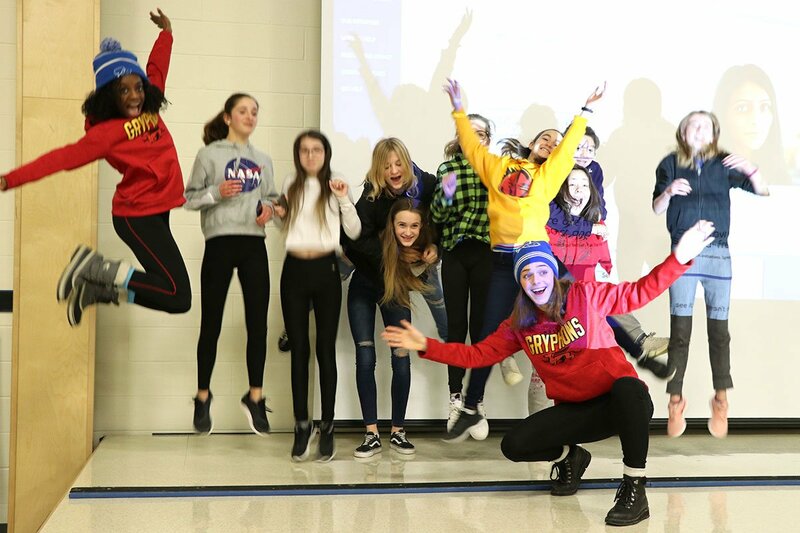 For the third year in a row, the intermediate students were joined by athletes from the University of Guelph, who spoke with students, encouraging them to help end the stigma around mental health. Other lessons around ending the stigma included paying attention to the language you use, being kind, educating yourself, listening to others and talking about mental health. And talking was a big part of today’s workshop. 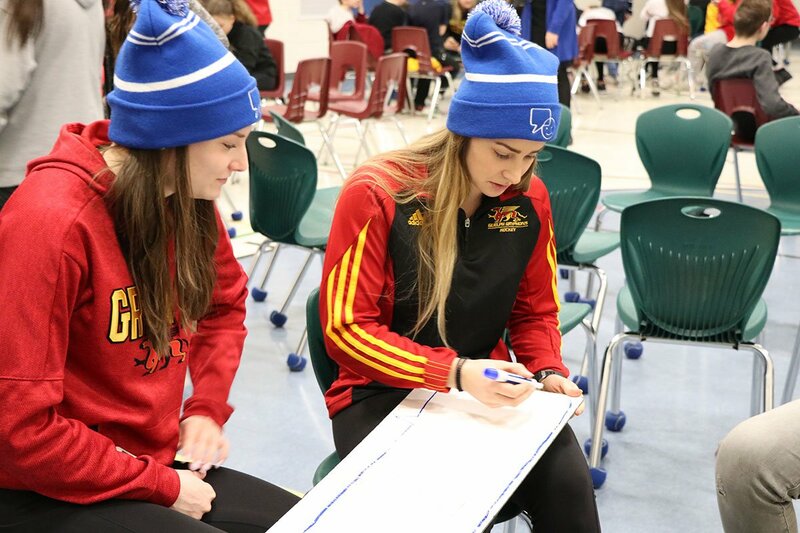 The students broke into smaller groups and heard from the U of G athletes, who shared their personal stories about how mental health and wellness has impacted their lives. 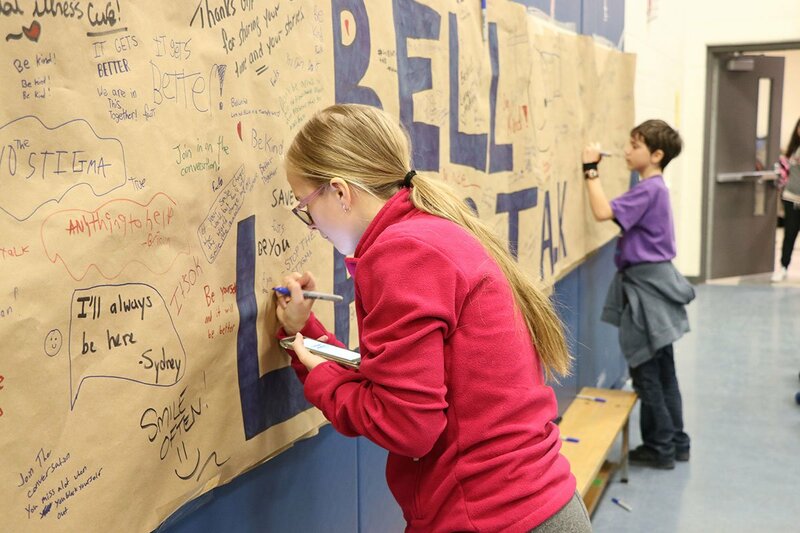 Also as part of the day, students participated in a contest where they shared positive messages on social media. A prize will be awarded to the group whose tweet received the most retweets. 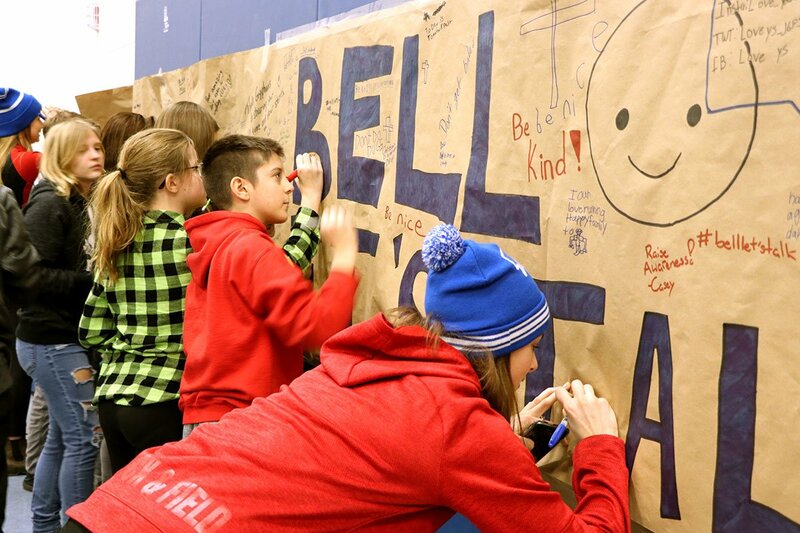 Students got creative with their social media messages and filled a large mural with positive messages about strength, compassion and togetherness.